Listen to an iPod® or other compatible portable audio player using the USB mode. Playable data includes: MP3/WMA/AAC/OGG files. Compatibility varies according to model or operating system (OS) version of device. Click here to see if your device is compatible. If an incompatible device is connected, an error message is displayed. Select ROOT FOLDER to display categories. Make your selection. – To move to specific place in playback, drag the slider to the appropriate time. – For some Apple devices, when playing in shuffle mode, track information may not be displayed correctly. Select ROOT FOLDER to display list of categories, select desired category and item. Select PLAYLISTS to display all playlists on device. 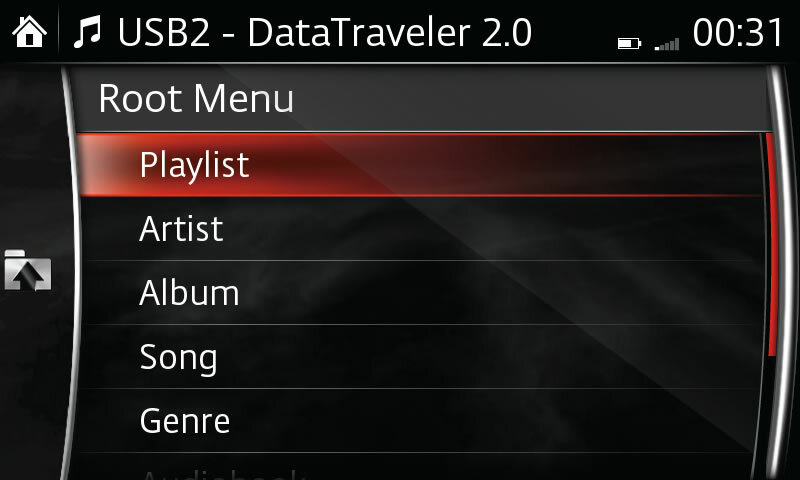 Select ARTISTS to display list of songs on device by artist. Select ALBUMS to display list of albums on device. 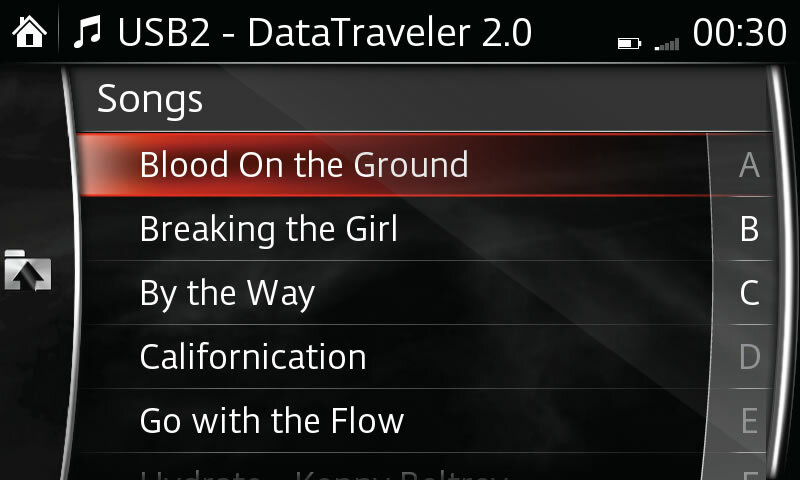 Select SONGS to display list of all songs on device. Select GENRES to display list of songs on device by genre. Select AUDIOBOOKS to display list of audiobooks on device, select and play by chapter. Select PODCASTS to display list of podcasts on device. Select FOLDERS to display list of folders and files on device.